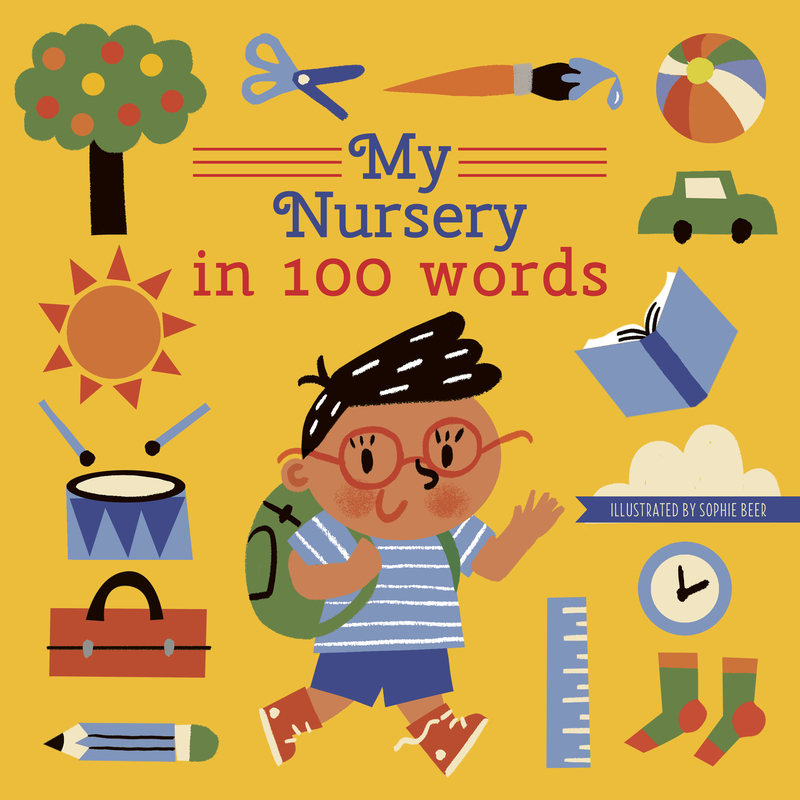 A playful new board book series exploring different aspects of a child's world in 100 words. This charming non-fiction board book series is an original, contemporary first words concept. Aimed at 1-3-year-olds, the series is designed to boost vocabulary, engage children with the world around them, and support familiarization with specific subjects. Each title explores a different theme; starting nursery, Christmas, in the garden and at the seaside. With ten words per page and variation between full scenes and visual lists, there's plenty for children to look at and enjoy. Bright, playful illustrations from Sophie Beer complete the series. 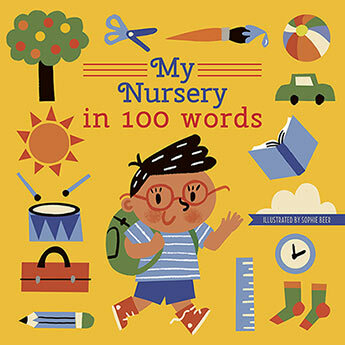 This titles looks at starting nursery and addresses a range of different scenes and objects in a loose narrative, from getting dressed and eating breakfast with the family, to different activities at nursery including playtime, circle time and arts and crafts, and home time. Interspersed with labels for practical objects are more abstract terms such as happy, kindness and family, teaching children about emotions and mindfulness as well as educational vocabulary.